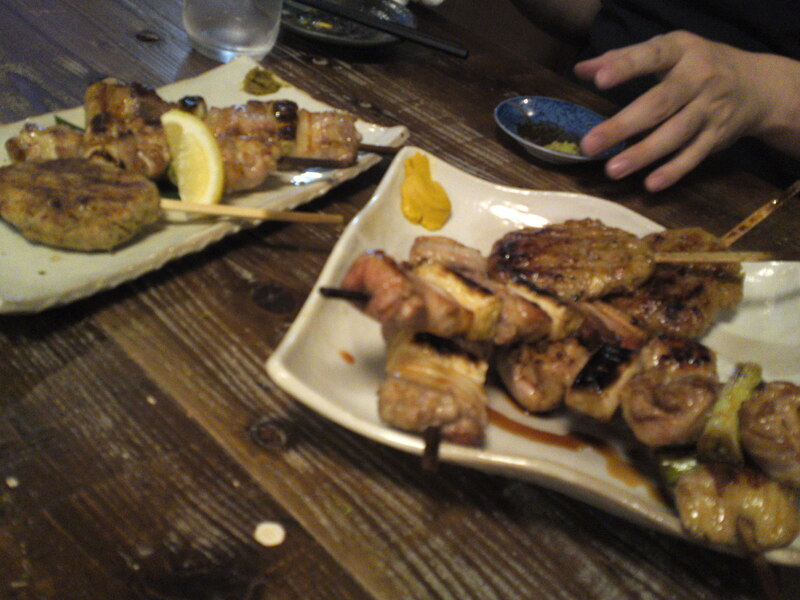 Izakaya: Mansouya (満惣屋) in Shizuoka City! Equipment & Facilities:+3 Very clean overall. Superb washroom. 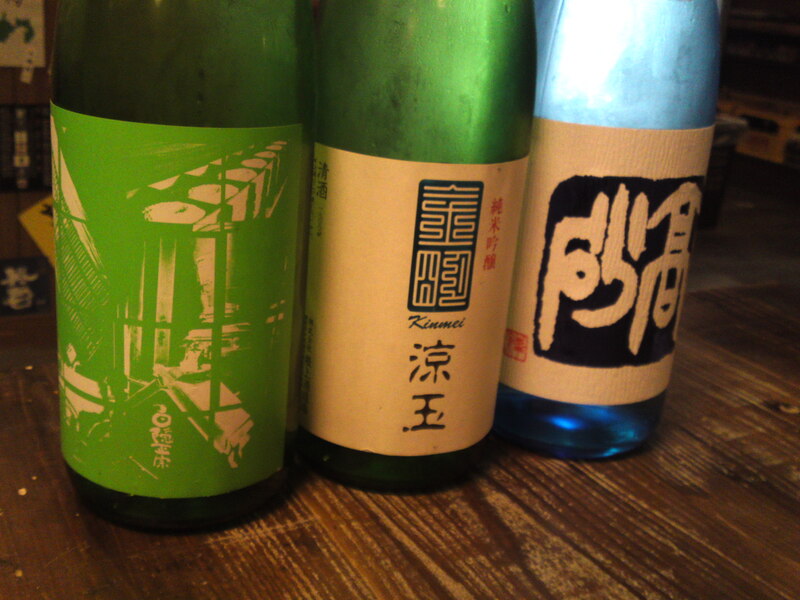 Strong points: Shizuoka sake (all breweries featured!)! Superb sashimi plates. Shizuoka Tea Pork! 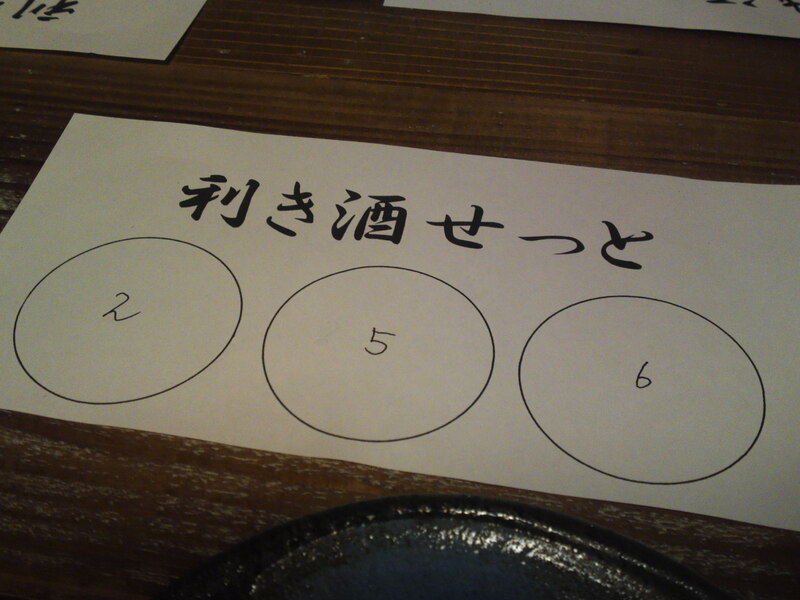 See “Izakaya Ranking” system at bottom of article! 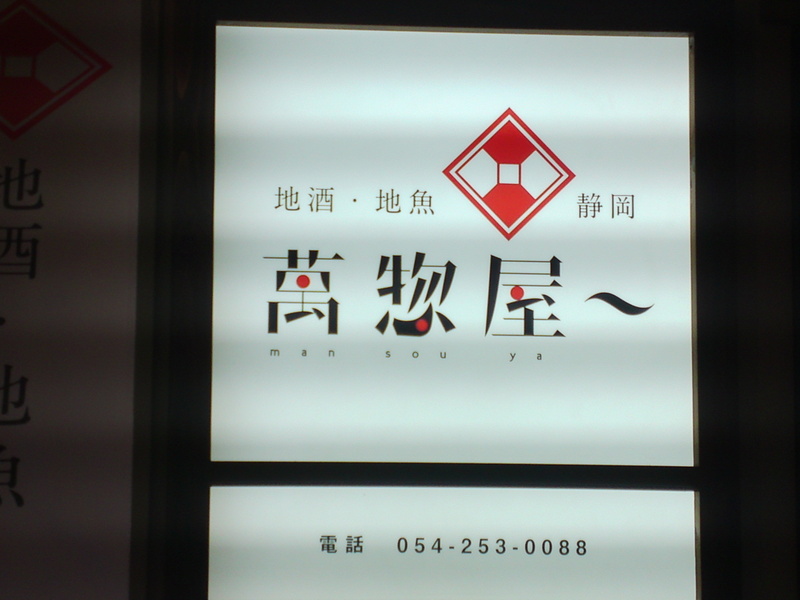 A brand new izakaya was born very recently and is acquiring a very big reputation all over Shizuoka City: Mansouya! It is located in a fairly quiet place in Aoi Ku behind Isetan Department Store on the first floor of red-bricked Castle Hotel which used to house a Chinese restaurant! 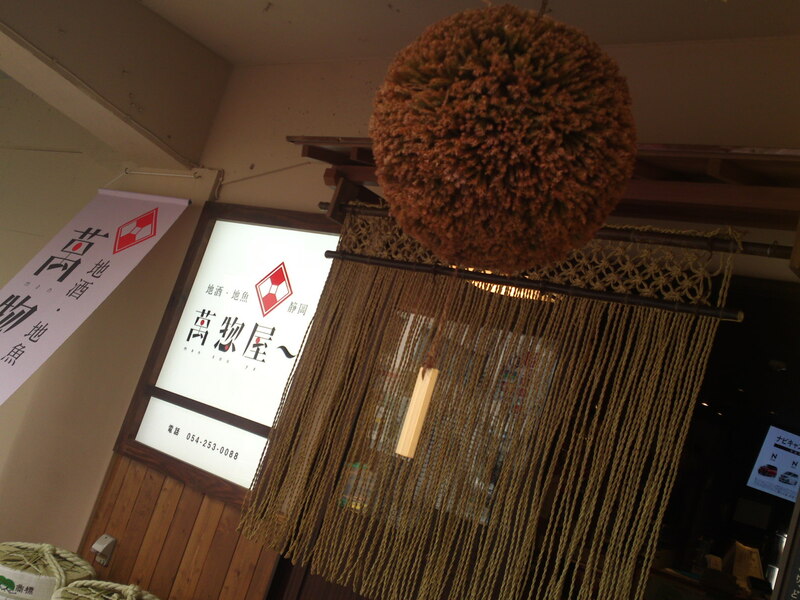 Note the cedar ball, a feature you will find at the entrance of sake breweries! 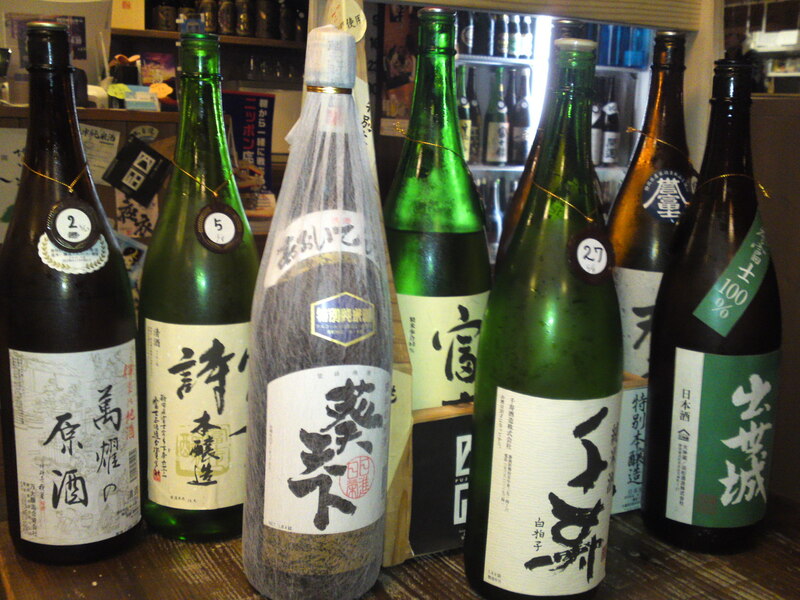 One big reason for its popularity is that it is the only establishment serving sake from all the breweries in Shizuoka Prefecture, even those which are on the fringes selling somebody else’s sake! 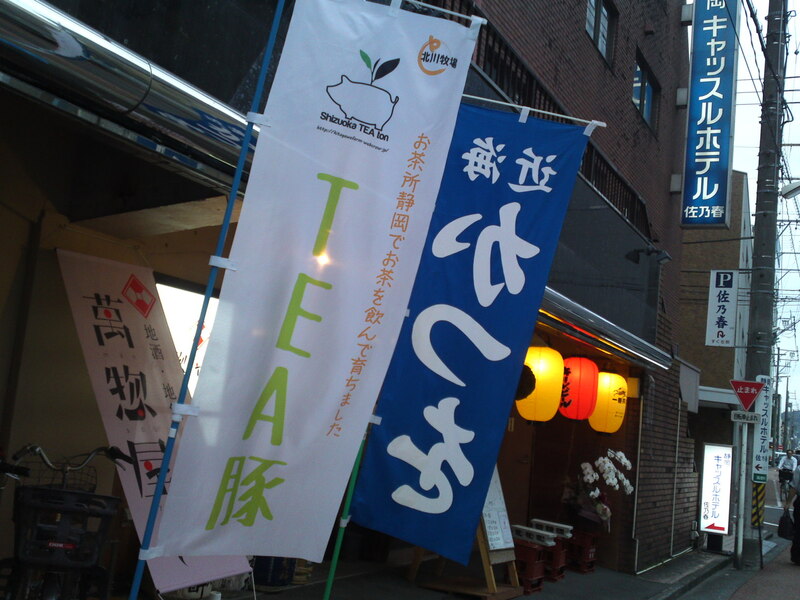 Another reason is that the serve pork from local pigs fed with local green tea! 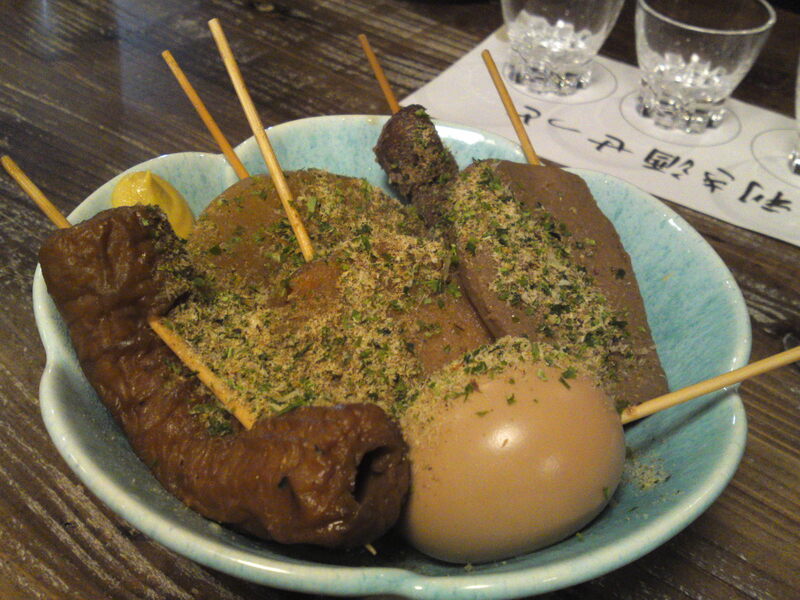 Talk about extravagant Shizuoka gastronomy! 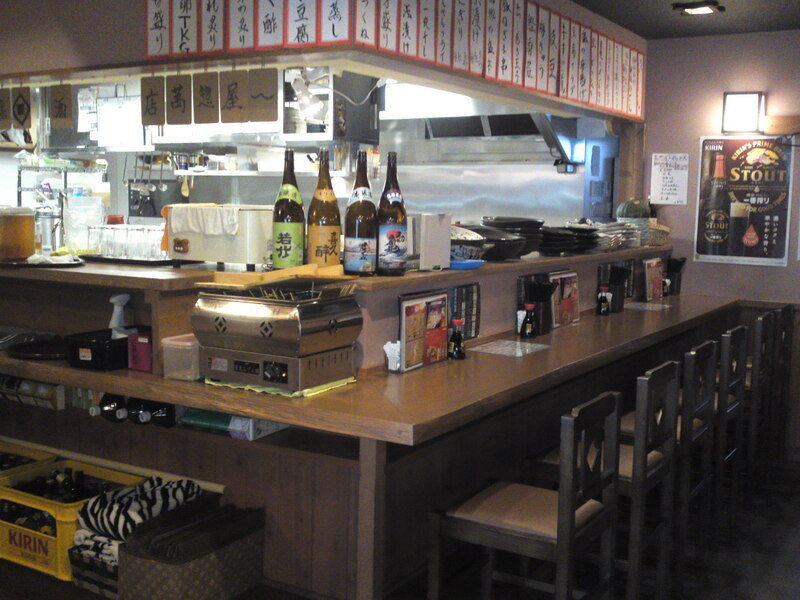 Not only do they serve sake from Shizuoka prefecture but also local fish and seafood! They are certainly a working hard lot even at lunch and no holidays! It is always a good idea to reserve especially at night! If you come alone sitting at the counter is probably best! Large groups will feel more comfortable sitting on the tatami floor! But it can become very noisy! But there are plenty of tables and chairs for small groups! 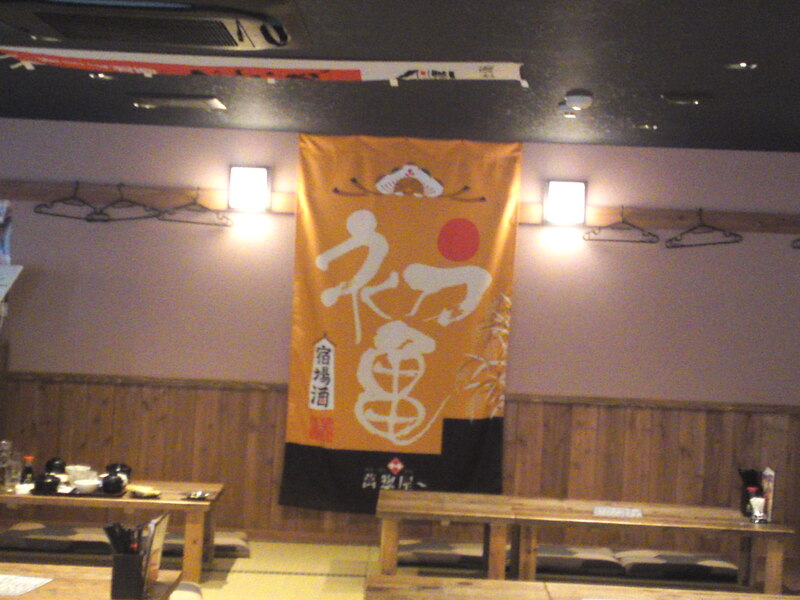 Note the walls decorated with sake brewery aprons! 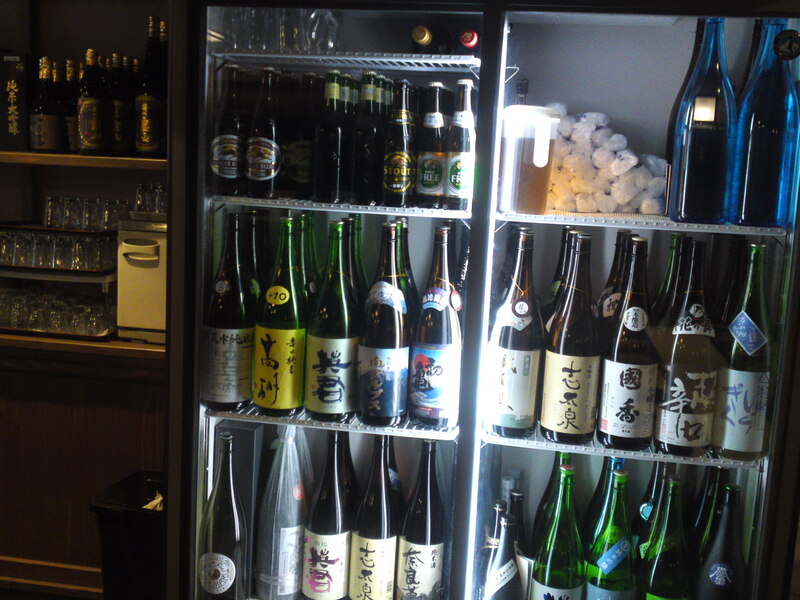 Have a look at all the sake in the fridge! 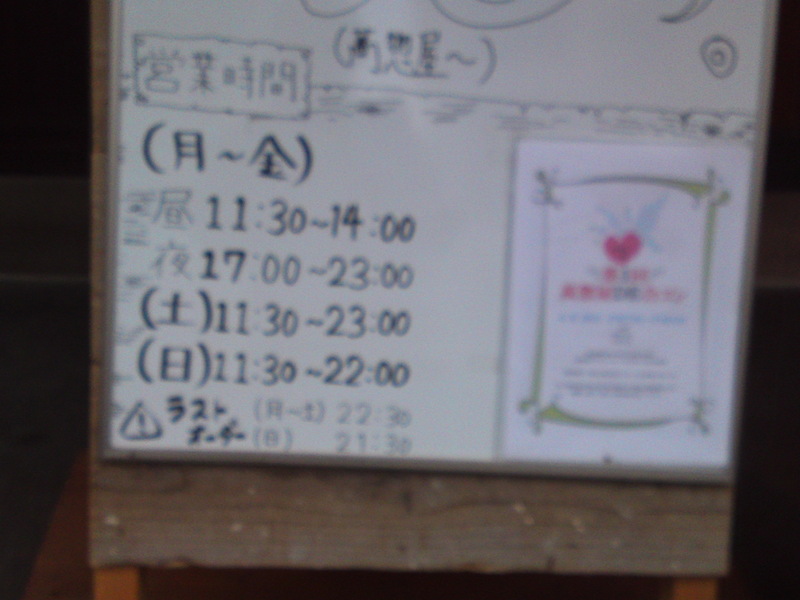 The staff, if not too busy, will have the pleasure to explain their origin! 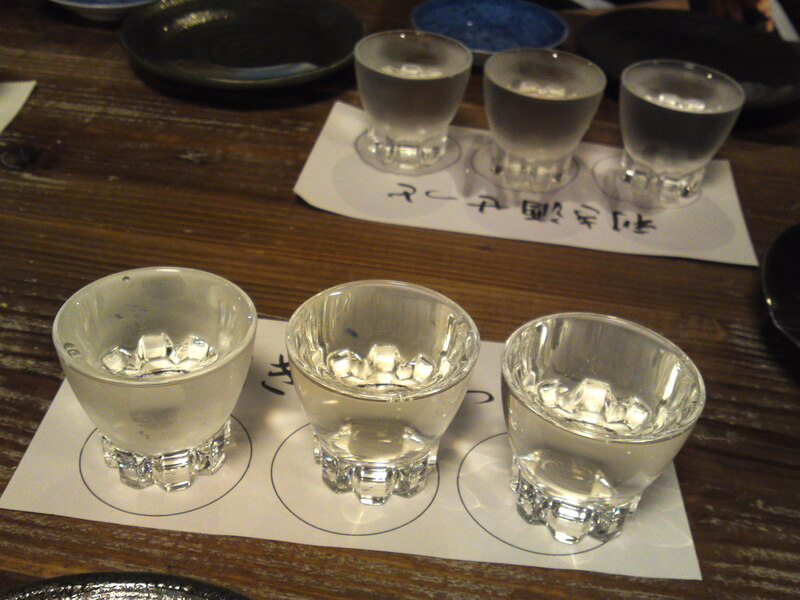 If you come to taste as many sake as possible the best solution is to order a 3 sake tasting set for only 800 yen! The bottles will be brought onto your table and you are welcome to take photographs! Each bottle being explicitly numbered, the number of the brewery you wish to taste will be written on your sake tasting set paper! Splendid system if you want to report on the tasting! O-toshi/snack coming with first drink! 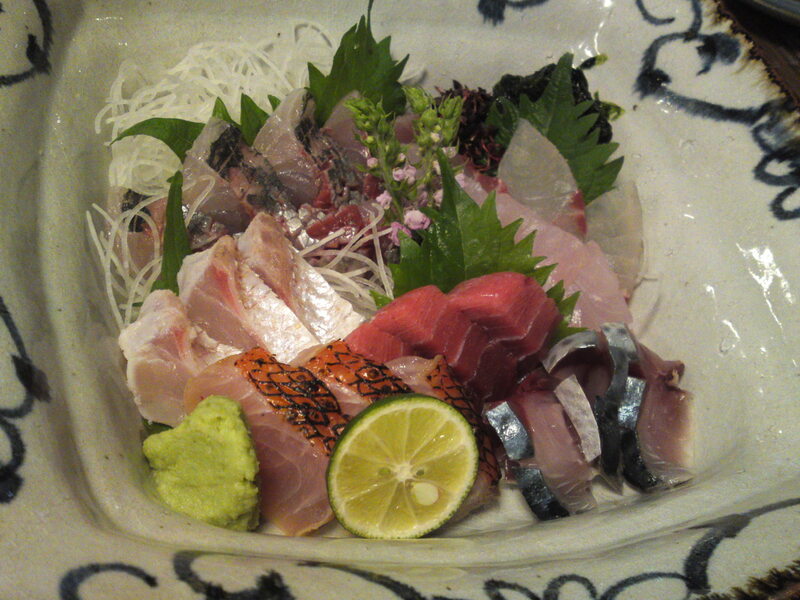 Beautiful sashimi plate with fish and seafood from Shizuoka Prefecture! Great value! 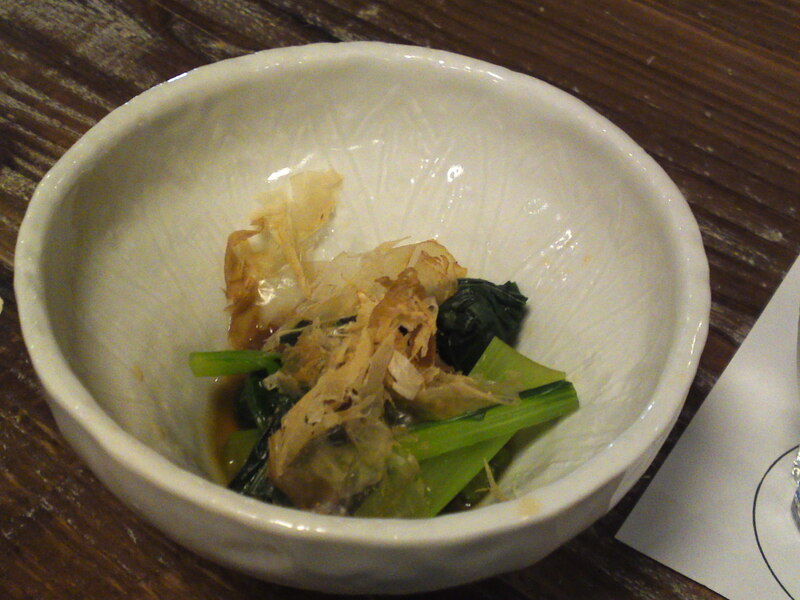 Of course Shizuoka oden is a regular dish all year round! 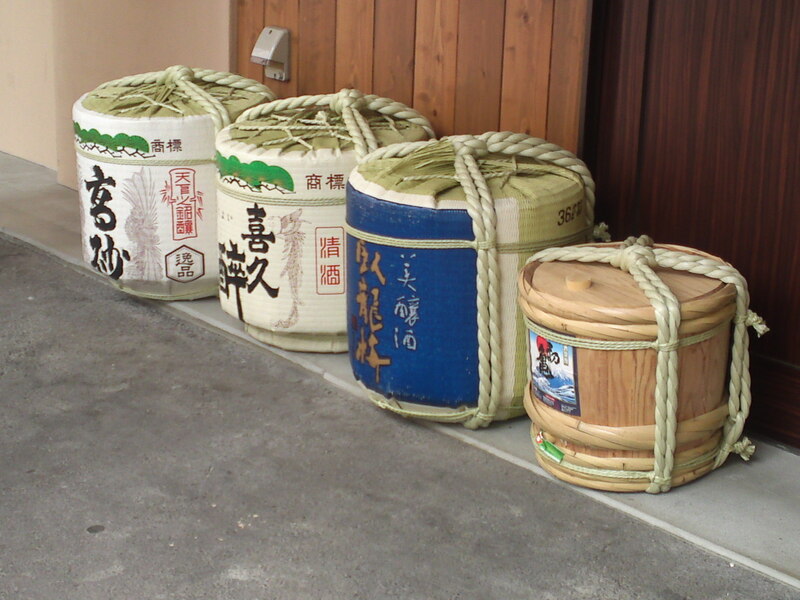 Note that are seasoned the Shizuoka way with “aonori”! 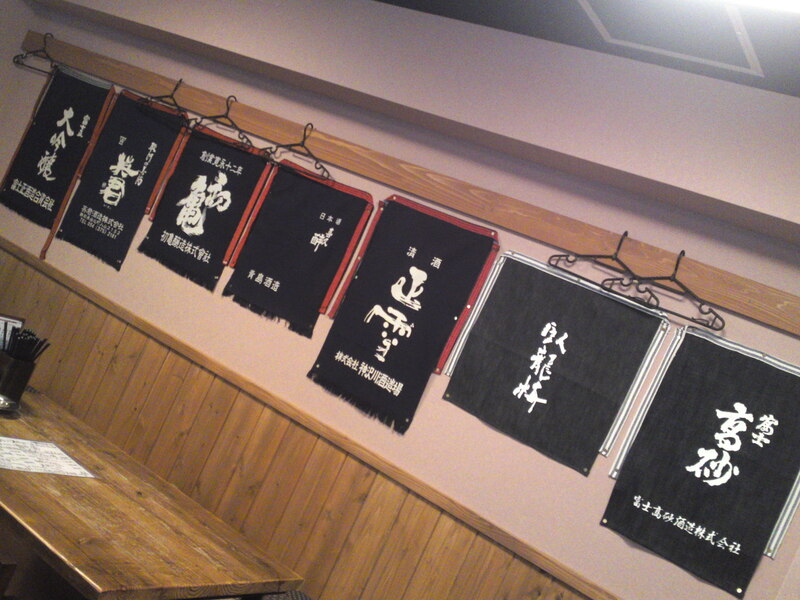 Shizuoka oden are darker than the ones found in other prefectures! 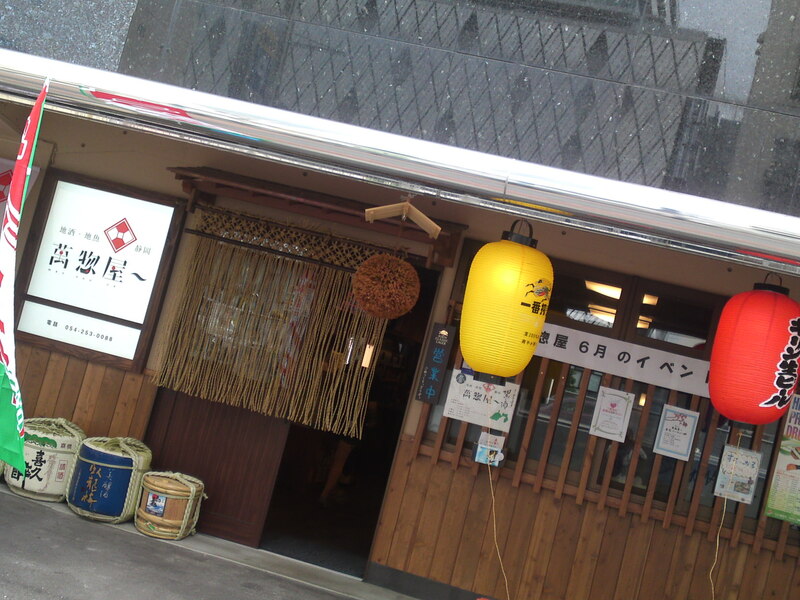 Actually, I’m planning to conduct some sake tastings there in the future! Don’t forget to order the tea pork! Great comfort food for the meat lovers! 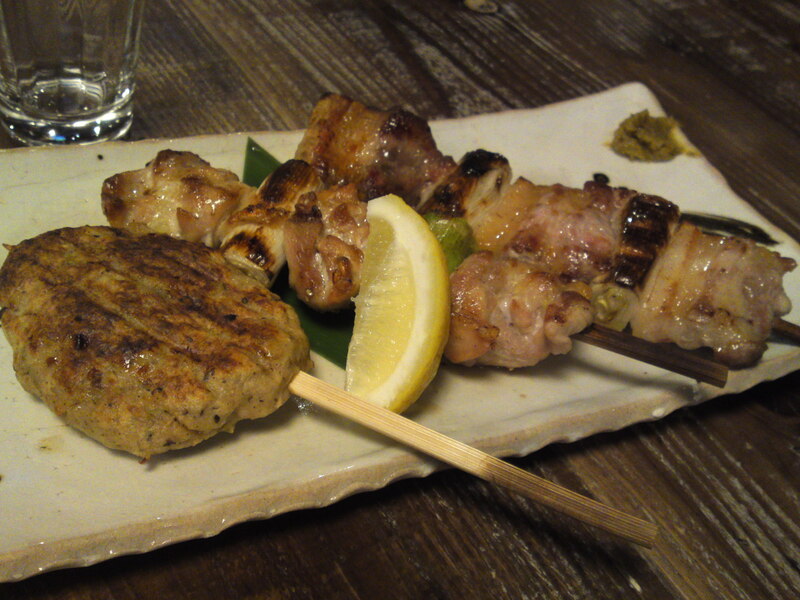 Very generous portions with yakitori, including my favorite, “tsukune”/minced meat ball!! Expect regular visits in the future!